Take a set of vintage Strat pickups and overwind them for more midrange, punch, and output and you get pickups with Attitude! Featured in the Stevie Ray guitar, Fender Custom Shop Texas Special Strat Pickups are calibrated for each position with a reverse coil, reverse-wound middle pickup for noise cancellation. 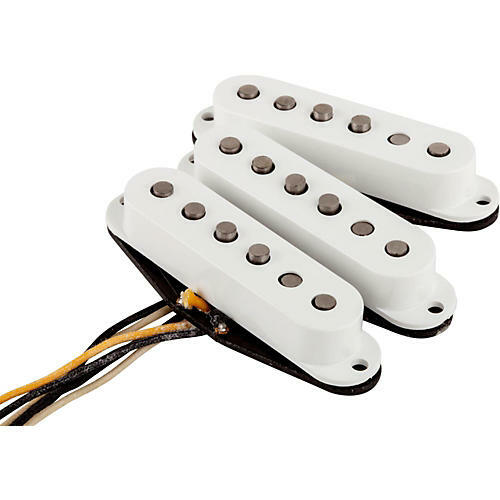 If you want plenty of midrange bark and crisp high-end bite, get these Texas Special pickups.